If we’re being honest, my husband was more excited that I was pregnant than I was. I was terrified and totally caught off guard. I was going to be a MOM?! My husband on the other hand was proudly telling everyone that he was going to be a dad and even announced our pregnancy from Afghanistan while I was napping. So I woke up to a ton of congratulations, some confusion and what I’m assuming to be some judgment. I was afraid of what others would think considering we had only been married a month. But my husband on the other hand, he was over-the-moon excited and didn’t care what anyone else thought or said. My weekly bump pictures were what he looked forward to every week. 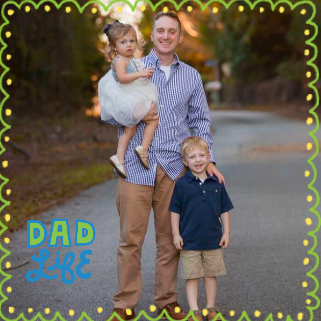 It helped him cope with the boredom while deployed overseas and made the days go by faster. 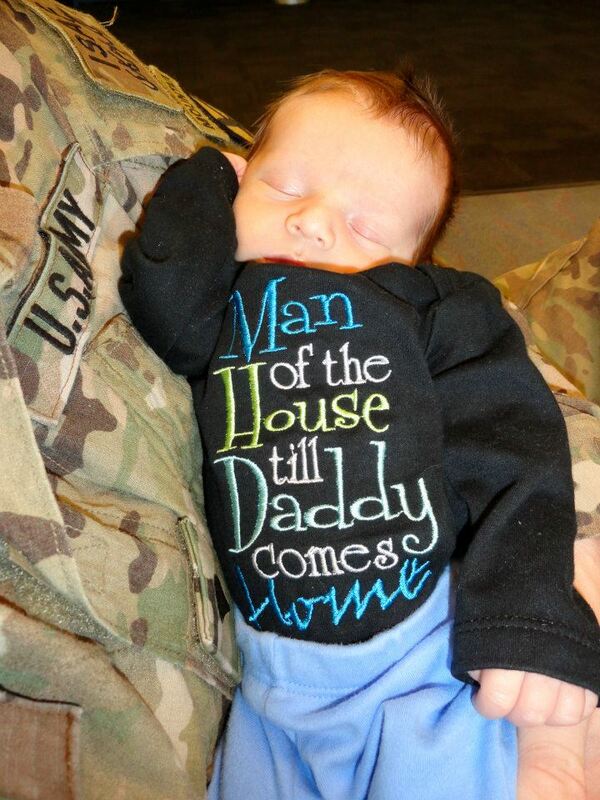 He looked forward to the next bump picture instead of counting days until he could come home. 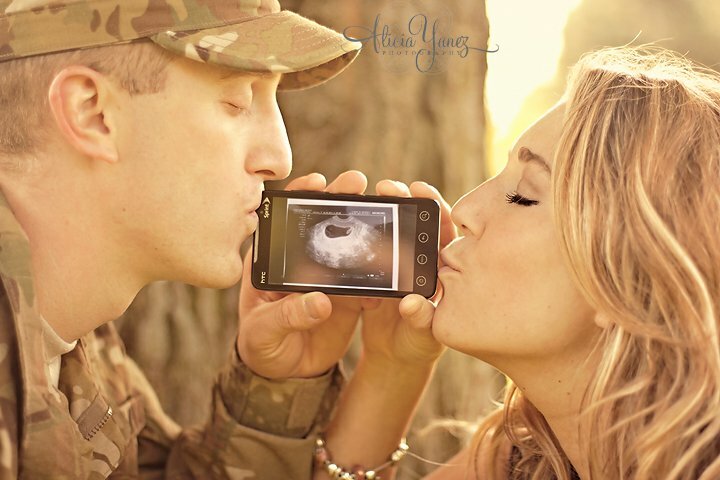 Although we were scared of him deploying and the timing of our pregnancy, we felt that it was meant to happen that way. 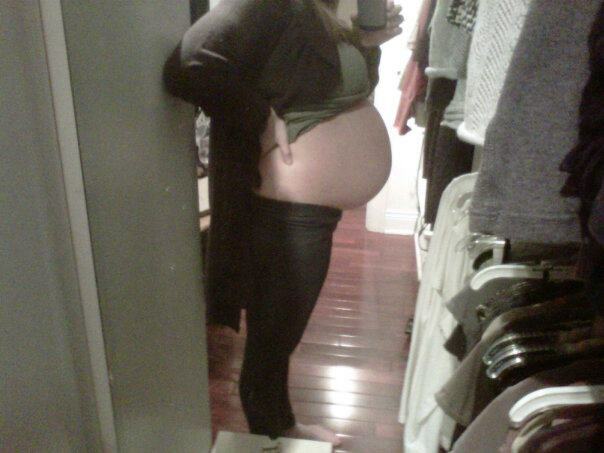 That the growing baby in my belly was one of the reasons my husband needed to make it home safely. From the minute my son was born, I noticed an out-of-this-world kind of love. From the minute my husband held our son for the first time I knew that he was destined to be a dad. 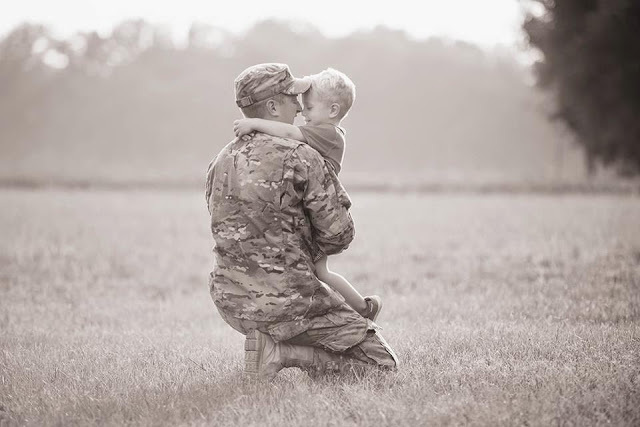 One of the hardest moments of my life was sending my husband back to war; watching him walk to the gate while holding our 6 day old son was like a thousand knives stabbing me in the stomach. I have never felt such pain in my life and it scared me to pieces to send him back. I couldn’t even imagine leaving this new bundle for a few minutes let alone going back to fight a war halfway across the world. As much as it hurt to send him back, it hurt me even more to watch the pain he was feeling. When he finally returned safe and sound, our family felt whole again. Fast forward a few years later to when we added our second child and my heart once again grew three sizes. Seeing his love for our children is something that I will never take for granted. How he plays “salon” when my daughter wants to or plays “zombie” after working a 10 hour workday. How he tickles their backs before bed or plays board games until his eyes bleed. He’s one of the greatest, hands on dads I have ever seen and I feel so lucky to have him as a husband. And so lucky that my kids have him as a dad. Watch this video from Johnson’s® without getting emotional. Dare ya. I love watching my husband interact and play with my kids. It brings my heart so much joy to see how much he loves being a dad and how much they love having him as a dad. Big moments are great but sometimes it’s the little wonders that make they greatest memories. « Take a break with Café Breaks… you deserve it.